The proportion of UK motorists who said they liked the idea of self-driving cars has tripled in 12 months but drivers are still not ready to commit. 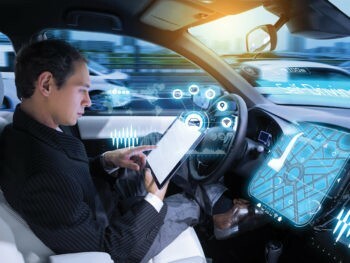 With the Government planning to have fully autonomous vehicles on UK roads by 2021 – and current plans could see testing on public roads by the end of this year – the research from Close Brothers Motor Finance found three in 10 drivers (31%) said they were in favour of self-driving cars, up from one in 10 (10%) a year ago; however, just 6% of drivers would actually consider buying one as their next car. The research, taken from Close Brothers Motor Finance’s new Britain Under the Bonnet report that launches next month, also found self-driving cars are most popular amongst young drivers – one in seven (14%) would buy a driverless car next, compared to 2% of those over 55. Seán Kemple, director of sales, Close Brothers Motor Finance, commented: “The sci-fi element of driverless cars certainly captures the imagination and is a great point for discussion. While interest is on the rise, it is telling that just 6% of drivers would actually consider buying one as their next car.